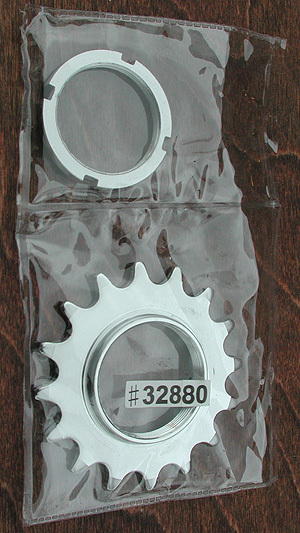 Chrome Track Cog and Lock Ring, for your Single Speed Fixed Gear Fixie Bike. 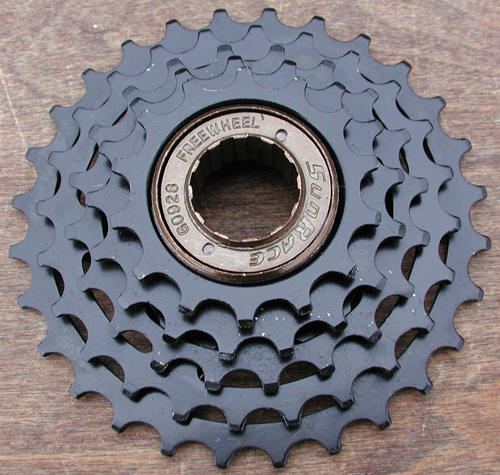 Comes in 13, 15, 16, and 17 teeth by 1/8″ Chain sizes. 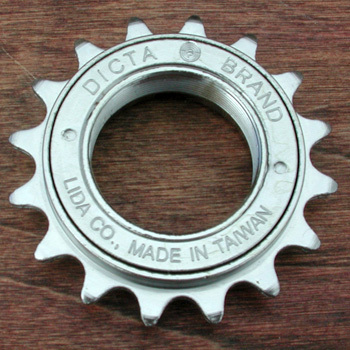 This is a Chrome Track Cog and Lock Ring. 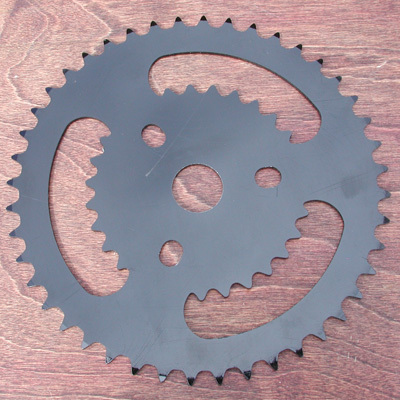 Comes in 13, 15, 16, and 17 tooth configurations. 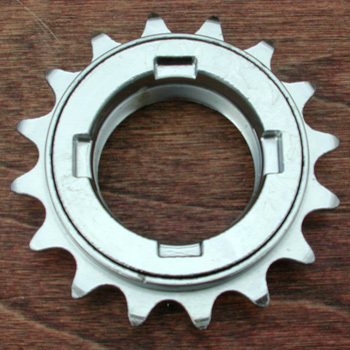 Check our Tool Section for a lock ring remover Tool. 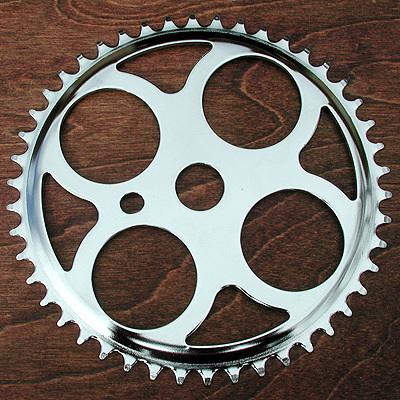 Cog is for single speed bikes with 1/8″ width chain. 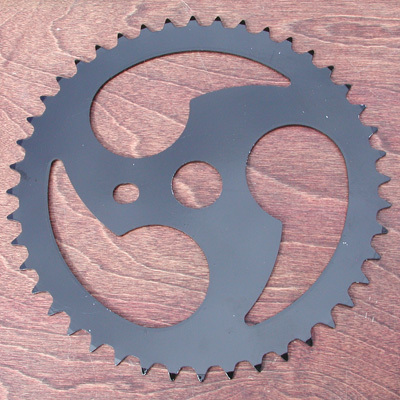 This part is Perfect for your Fab Fixie Fixed Gear Single Speed Creation, Vintage Schwinn Bicycle Restoration or Custom Chopper Lowrider Cruiser Project. 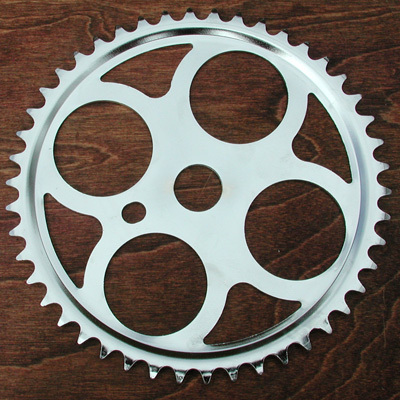 Chrome 16 Tooth Free Wheel, 4 Key Type, for Vintage Single Speed Conversions and Antique Bicycle Applications. 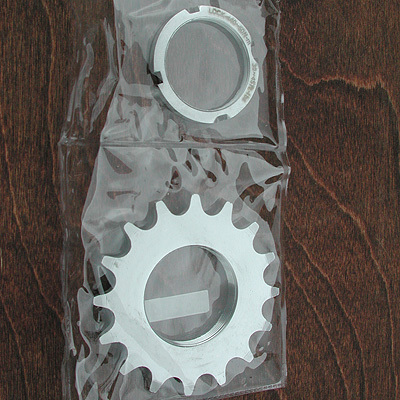 This is a Chrome 16 Tooth 4 Key type Free Wheel. 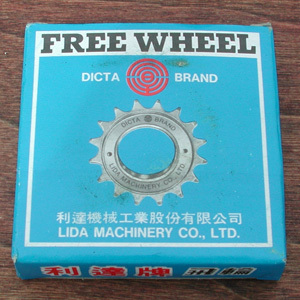 A 4 Key Type Free Wheel is a removable with a 4 Key Tool. 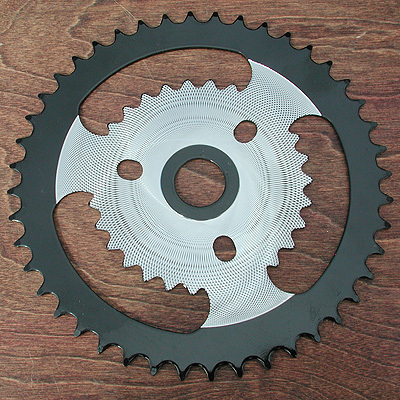 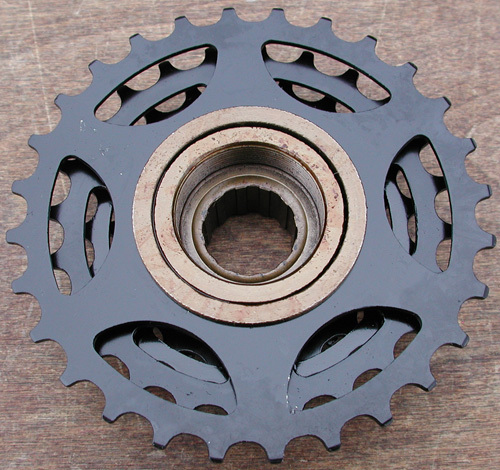 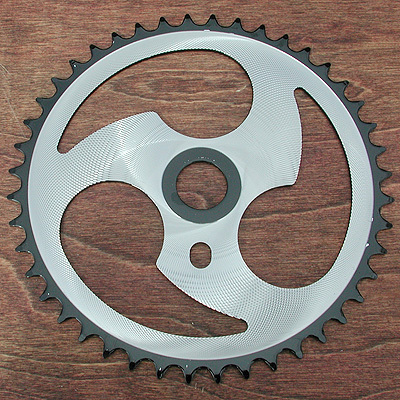 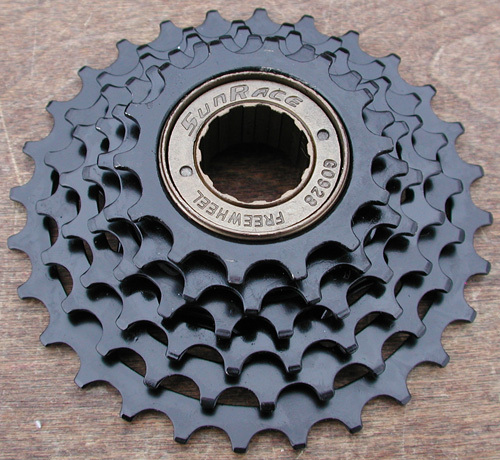 This Freewheel is for single speed bikes with 1/8″ width chain. 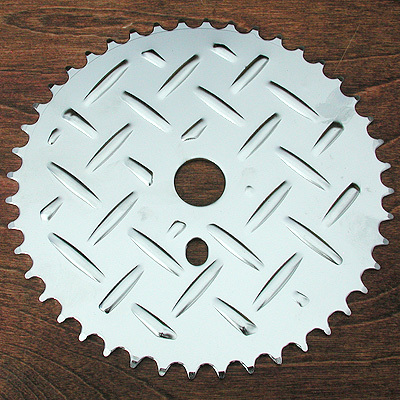 Check our Tool Section for 4 Key Free wheel remover Tool. 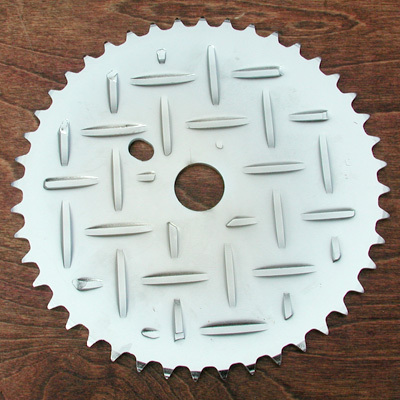 This part is Perfect for your Fab Fixie Fixed Gear Single Speed Creation, Vintage Schwinn Bicycle Restoration or Custom Chopper Lowrider Cruiser Project.